It’s with a very heavy heart I have to write that I have lost another hen. Hattie, originally known as Ruby, one of my two new ex-battery hens who arrived just three weeks ago, died tonight. She’s never been so perky as her compatriot, Lottie (originally Nellie), who is very feisty. She has spent a lot of time in the coop ever since she arrived, but I noticed today that she was moving very slowly. I gave her a sugary drink to see if it would perk her up. But, if anything, she seemed worse. When I came in for supper, she had put herself to bed, but I feared she wouldn’t last the night. My one consolation is that she had a couple of months of freedom from her previous life in a battery cage. Poor Hattie, what a shame! She looks lovely in the photo amongst the buttercups. At least her last few weeks were spent in a nice place being able to scratch around and be a proper hen! Thanks so much for your kind comment. I supposed just that short while I was administering her medicine, cuddling her for the first time, made me feel so much closer to her, having the physical contact. Was really quite upset, more so than when Buffy fell off her perch. Strange, had Buffy for four or five years and she was a sweetie. I think that Hattie’s freedom was so short. So sad. You’ve not let her down, she must have had something up with her when she came to you. 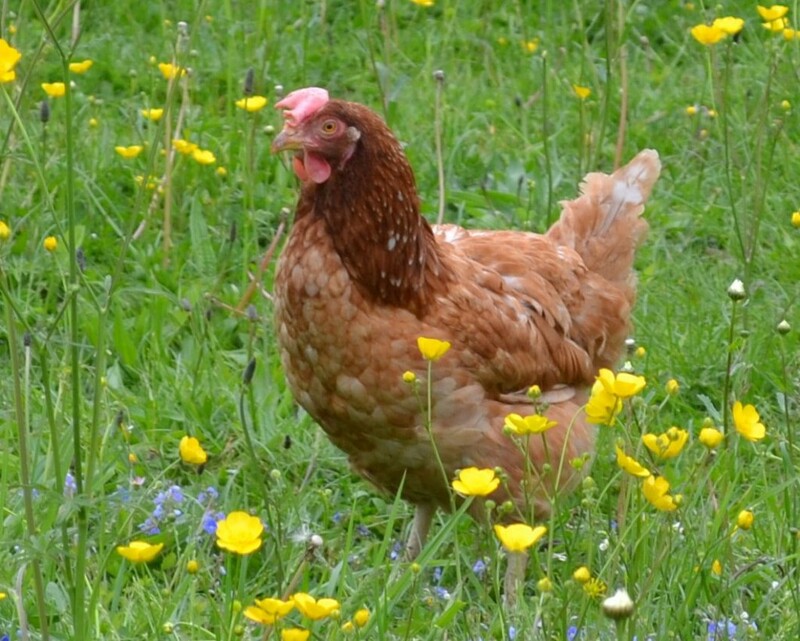 Poor little hen, at least she had some fun frolicking in the buttercups for a few weeks. Yes, MrsTBaM, she never did seem a hundred percent she spent a lot of time in the coop. At first I thought she was adjusting to ‘normal’ hen life outside a cage. Then I thought she was broody. Just how wrong can one be? Thanks for popping over.